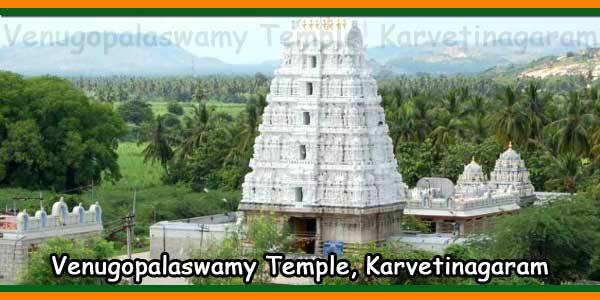 Goddess Sivagami Ammaiyar Sameetha Sri Chidambarshwara Swamy Temple at Sathrawada near Nagari, was built by the king of Karvetinagaram by installing the Shiva Linga and Sivagami Ammaiyar facing east to the right side of the Shiva Linga outside the temple. 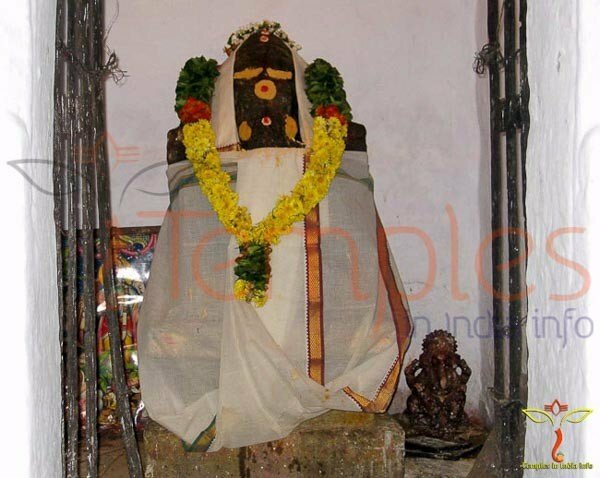 The Nandhi was installed at the outer Praakaaram facing Shiva Linga through a grilled window. 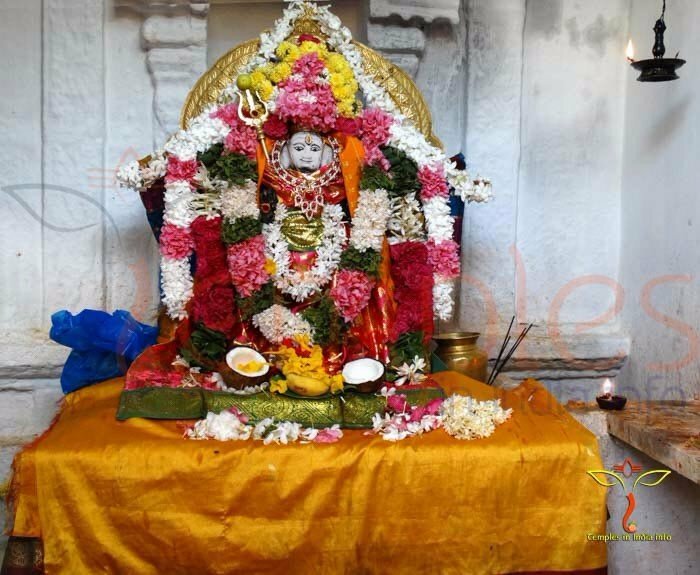 Lord Subramanyam Swamy along with his consorts Vall Devi and Dheivanai was installed in the right side of Lord Shiva Temple facing north and Lord Ganesha Temple constructed in the left side of the Lord Shiva Temple facing south. 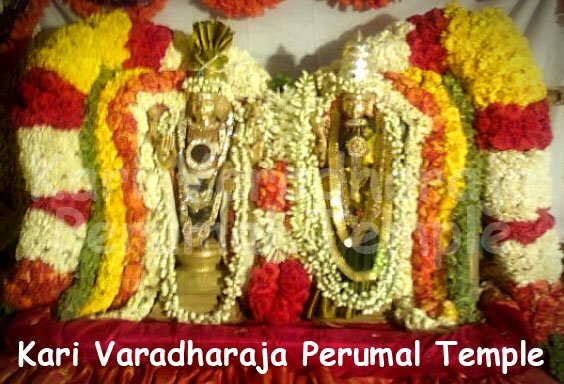 There are also Idols of Lord Natraja Swamy of about 5 feets approximately and Pradhosha Vigrahas (idol) of Goddess Parvathi Devi Sametha Lord Shiva of about 3-4 feet in height, which are made of Panchloha (consists of five metals). 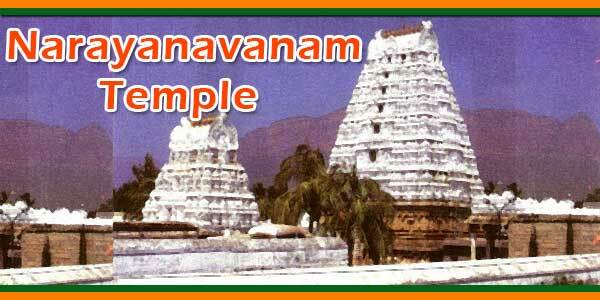 It is said that both of the Idols are not available in the surroundings. 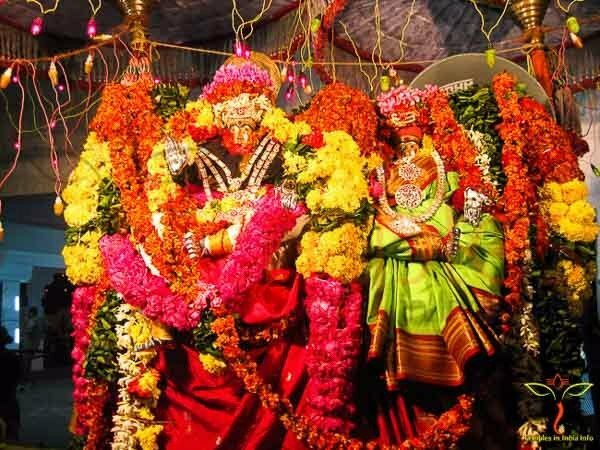 The Utsava Moorthy (Procession Idol) of Lord Shiva with Parvathi Devi (Sivagami Ammaiyar) is Subramanyam Swamy along with his consorts and Naaladiyar Adigal are also seen in the temple which are made of Pancha Lohas.